As members of the Montefiore Health System, Burke Rehabilitation Hospital and Montefiore New Rochelle Hospital are pleased to present this patient-focused exhibit. For more than 100 years, Burke Rehabilitation Hospital has helped patients recover from serious illnesses, injuries and surgeries. Burke's goal is to help each patient reach their maximum level of independence following a life changing event. Burke helps thousands of patients each year regain both cognitive abilities and physical strength through our acute inpatient and outpatient programs. Faces of Burke is a traveling photo gallery that showcases some of these remarkable patients--and their remarkable stories of recovery. Max was four years old when he got his first dirt bike. By the time he was a high school senior, he was taking part in motocross competitions throughout the East Coast. It was at one of these competitions where he was thrown from his bike. What Max hoped was a simple sprain quickly turned serious. His ankle was in ten pieces, and two of the main arteries in his right leg were severed. After a number of surgeries, amputation was the best option. Once his prosthetic was fitted, Max began physical therapy at Burke, where, by the end of three months, he was able to run comfortably--a goal he set for himself. These days, Max is back on his bike. In 2013, he competed in the X Games and continues to ride today. The now 22-year-old is also looking towards the future: he's a college senior and hopes to become--what else?--a physical therapist. Just a few months before her daughter's wedding, Barbara, an active school librarian, had a severe ischemic stroke. She arrived at Burke unable to walk or talk and was completely paralyzed on the right side of her body. But the mother of three was determined: the wedding wouldn't be postponed, and she and her husband would be walking their daughter down the aisle. Barbara spent months undergoing therapy, where she regained much of her functioning and relearned how to do basic things like standing and getting dressed. As for her speech, Barbara was diagnosed with aphasia, a condition that makes communication difficult. Today she has become an advocate for patients with aphasia and volunteers her time to help speech language therapy students better understand how to help patients. Barbara is on the board of the National Aphasia Association and speaks to organizations and first-responders. And at her daughter's wedding? Barbara not only walked--she danced. Being active has always been a big part of Barbara's life: she goes on long walks, enjoys hiking and was a jogger for over 30 years. But the combination of overuse and a family history of arthritis took a toll on Barbara's knee, and she was in so much pain that she could barely walk. Her doctor recommended a knee replacement. After the surgery, Barbara came to Burke, where she underwent intensive therapy. Post rehabilitation, she wanted to put herself to the ultimate test: hiking the Mount Everest trail in Nepal. The mother of three had already been on three hiking trips to the area and wasn't going to let the surgery stop her from making a fourth. And it didn't. Barbara hiked the trail over 11 days, reaching 13,000 feet. Is there another mountain in Barbara's future? You can count on it. 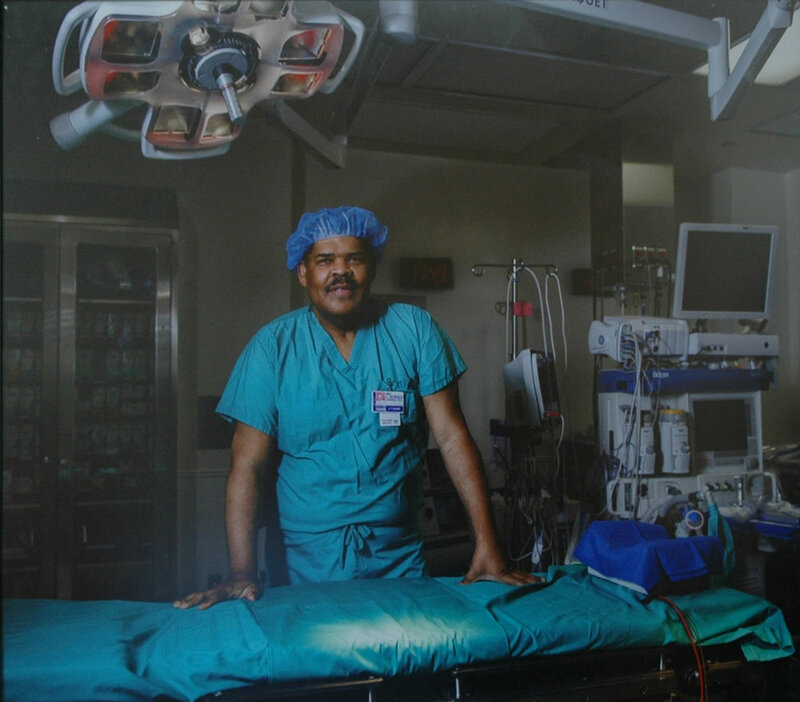 A trauma and critical care surgeon, Ronald was on a family vacation in the Bahamas when disaster struck: while riding on a jet ski, he was in an accident and passed out in the water. Though he regained consciousness, Ronald was put on an emergency flight back to the United States. Doctors told him he had experienced a debilitating heart attack, and he underwent angioplasty upon arrival. The Long Island resident also had respiratory failure and ultimately required a tracheotomy. By the time he arrived at Burke, Ronald had lost his muscle strength--he wasn't even able to lift his hand to his head--and couldn't walk or get out of bed. But the father of three was determined to regain his strength and today is able to walk and move freely. The real hope, though? To perform surgery again. He met that goal, too: Just two years after his accident and he's now back in the operating room. She was moving into her new apartment, pulling painter's tape off a freshly painted wall, when she was overcome by the worst headache of her life. Two family members, who were with her, quickly called an ambulance, and the Yonkers resident was rushed to a nearby hospital. Susan had experienced an aneurysm and was in a coma, and then developed a number of other complications. When she arrived at Burke, she had a feeding tube, was completely non-verbal--she couldn't even point to the window or ceiling, if asked--and couldn't walk. She spent a month at Burke undergoing intensive therapy, and slowly began to heal. Today, she's not only walking and talking, but she's back to driving and babysitting her three grandchildren. Susan was also determined to live independently again, and less than a year after her aneurysm, moved into that same apartment--this time with a new lease on life to go with it. It was a week before finals when Luke, then a college freshman, was spending the day on a pontoon boat. He dove into the water--without realizing the boat had drifted towards the shallow shores. The Scarsdale native broke his neck on impact and wasn't able to move from his shoulders down. he underwent emergency surgery and subsequently came to Burke. While at Burke, Luke's priority was to regain function and strength. He set a series of small goals, including being able to stand upright, which he couldn't do, even with help. After a few months of therapy, he was able to do just that. And today, he can take steps on his own, and with the help of Functional Electrical Stimulation technology, can walk upwards of a mile. Luke was also able to return to school just over a year later, and now the Vanderbilt University grad, who majored in neuroscience, is working towards his next goal: becoming a neurologist.